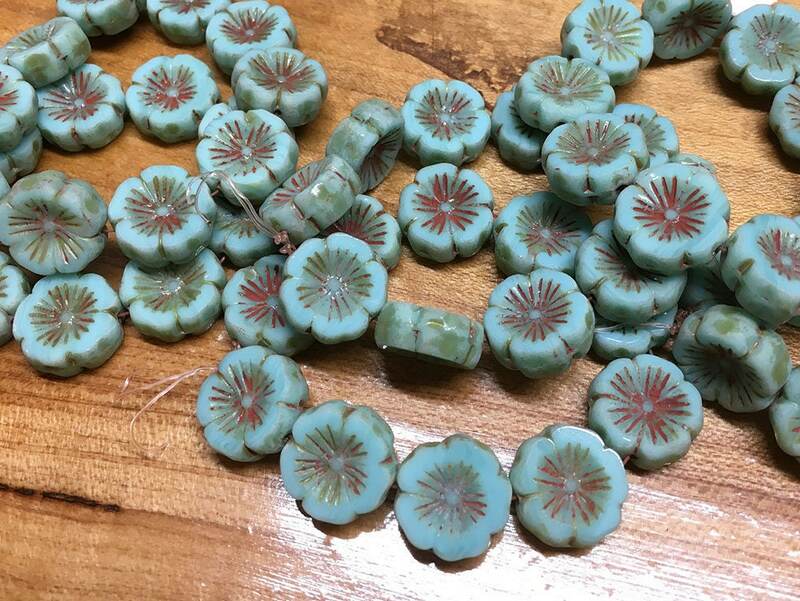 Opaque turquoise mint Hawaiian flower Czech pressed glass coin shaped table cut beads! Antique looking reddish picasso finish in the center and around the outside edges. Beads are 14mm. 10 beads to a strand! Just love these beads.......beautiful light airy mint green....Thank you again! !